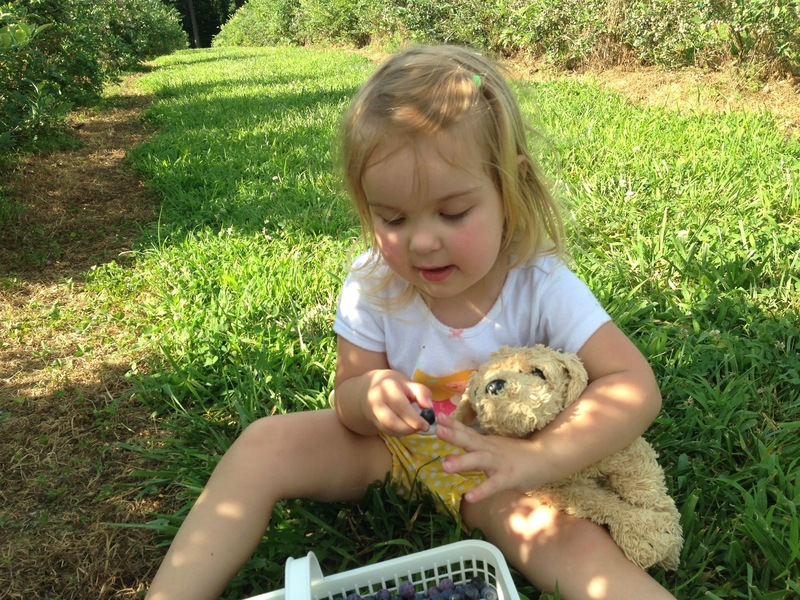 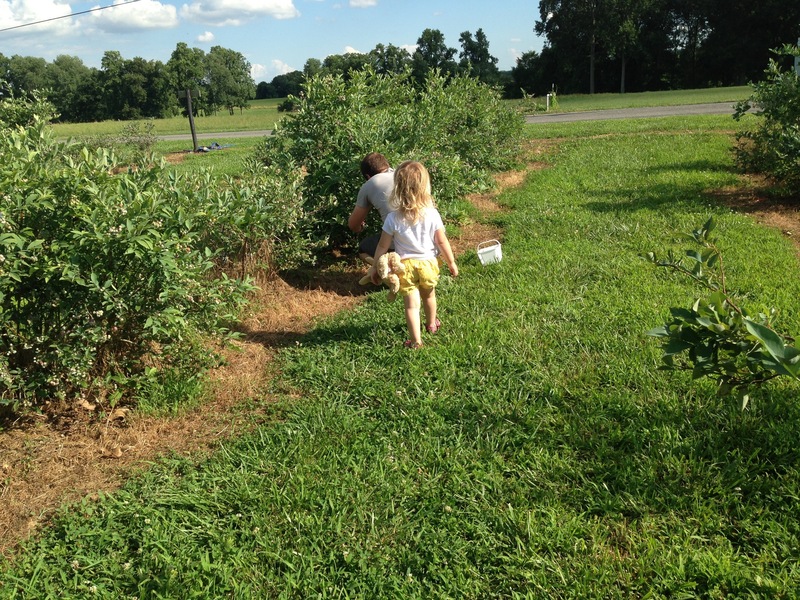 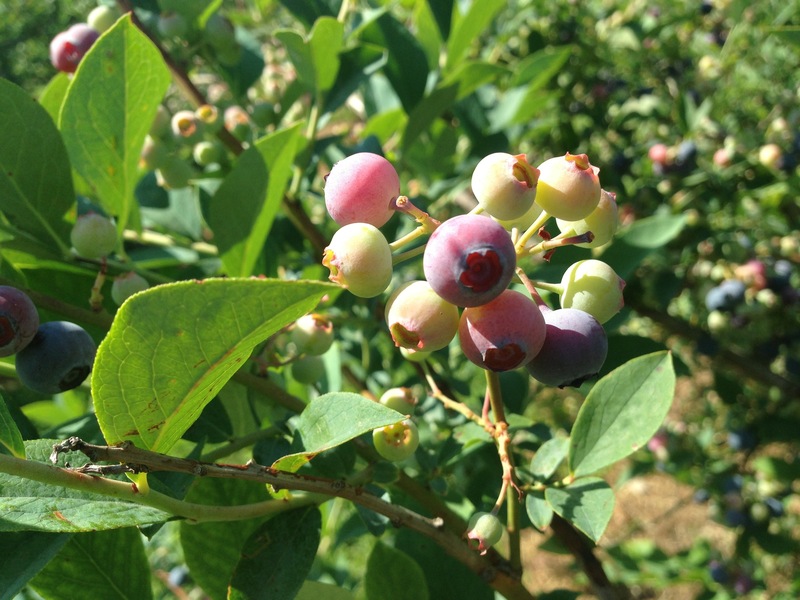 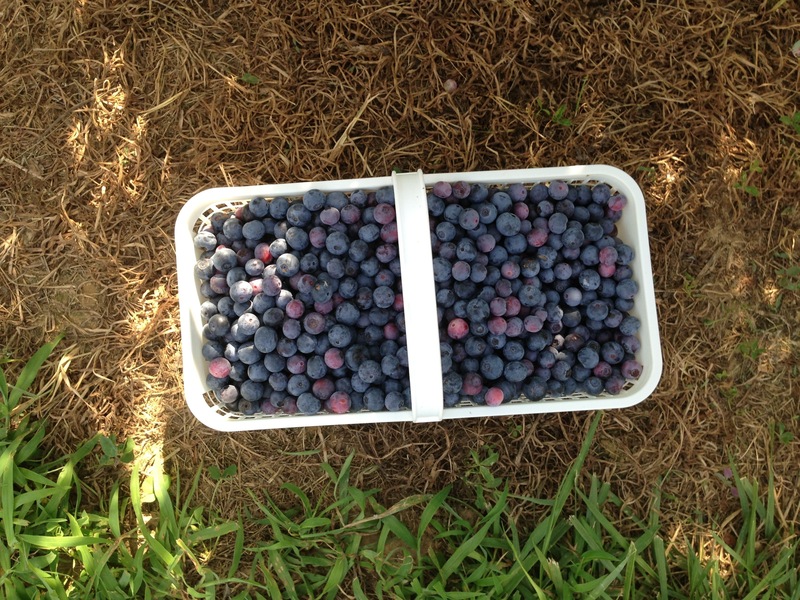 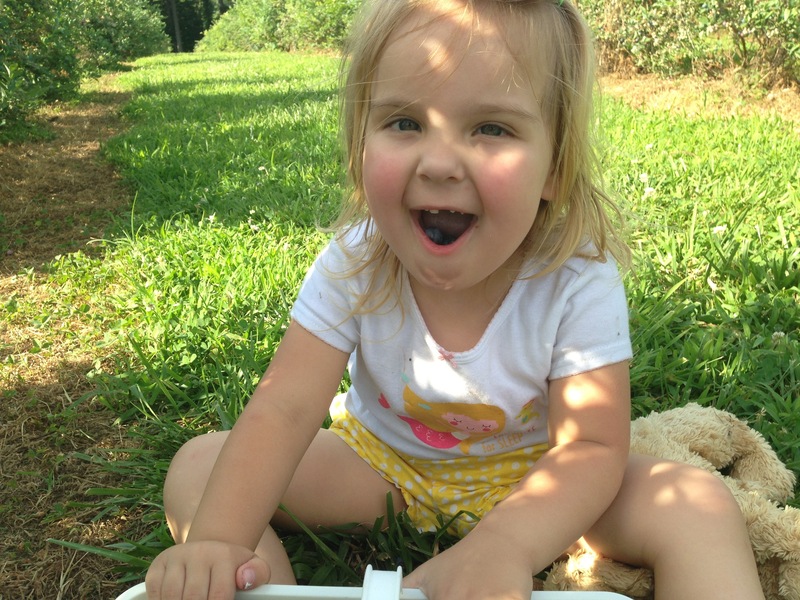 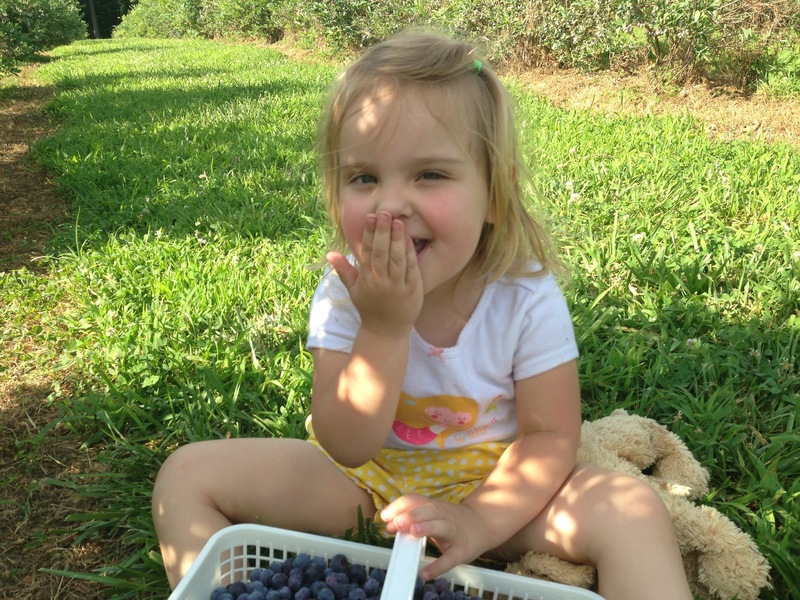 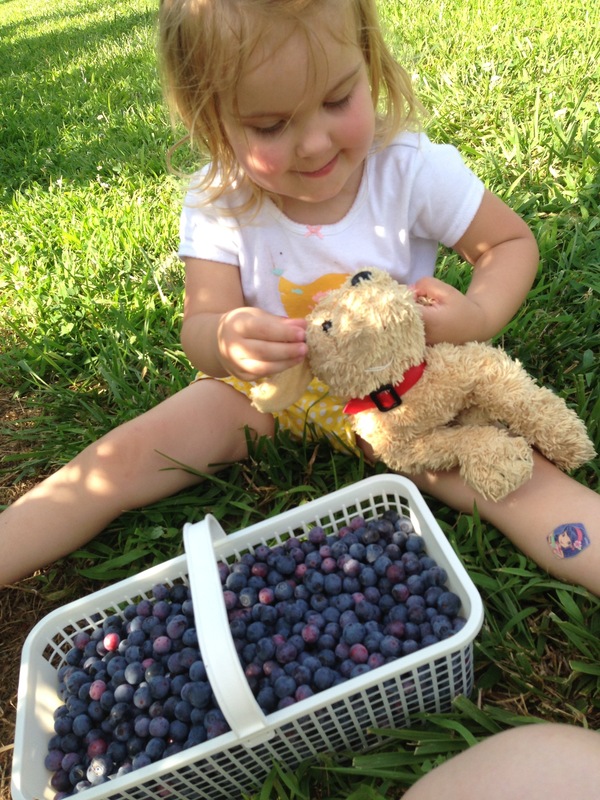 On Saturday afternoon we went to another u-pick farm — Bottom View Farm in Portland, TN — to pick blueberries. 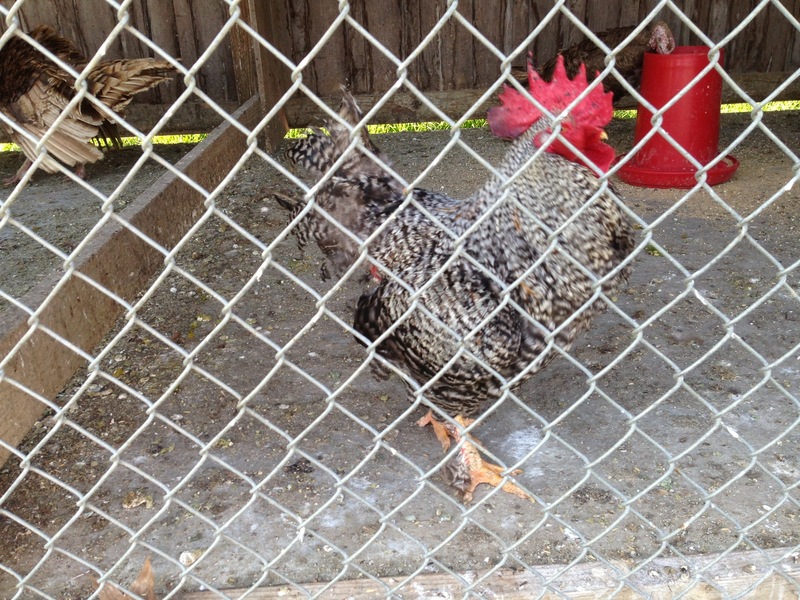 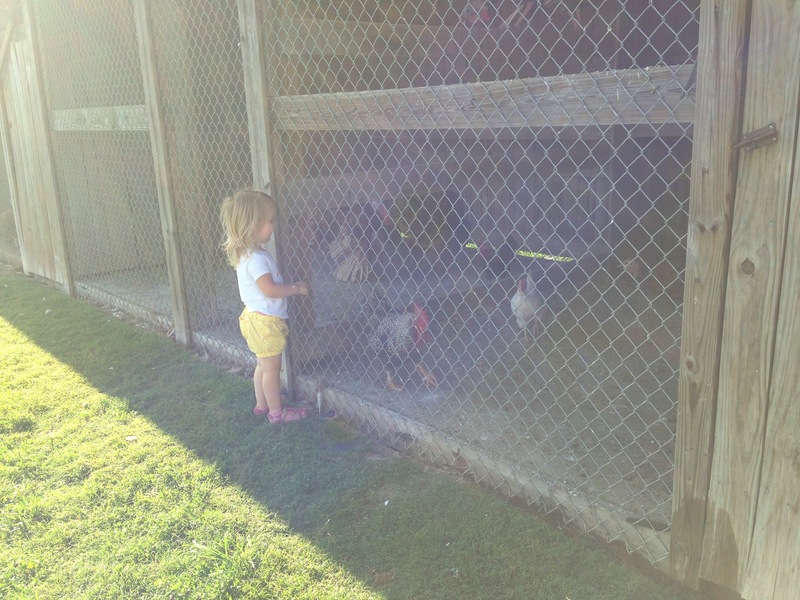 We also got to visit some turkeys, guinea hens, roosters, and chickens. 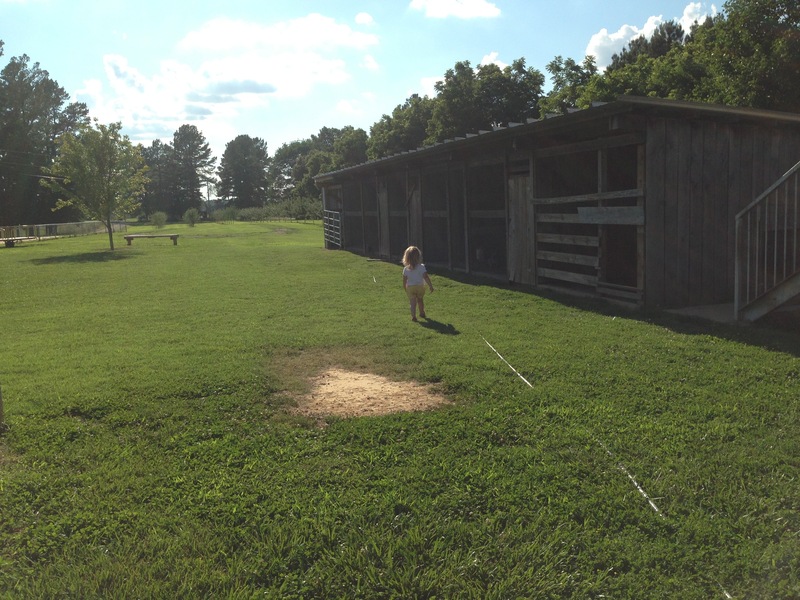 Mackenzie had a ball. 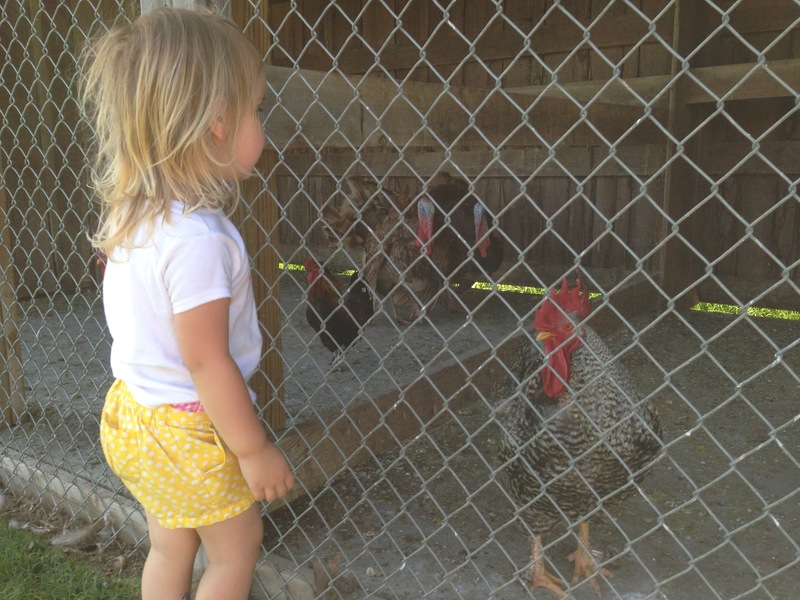 One very loud rooster seemed to like her a lot. 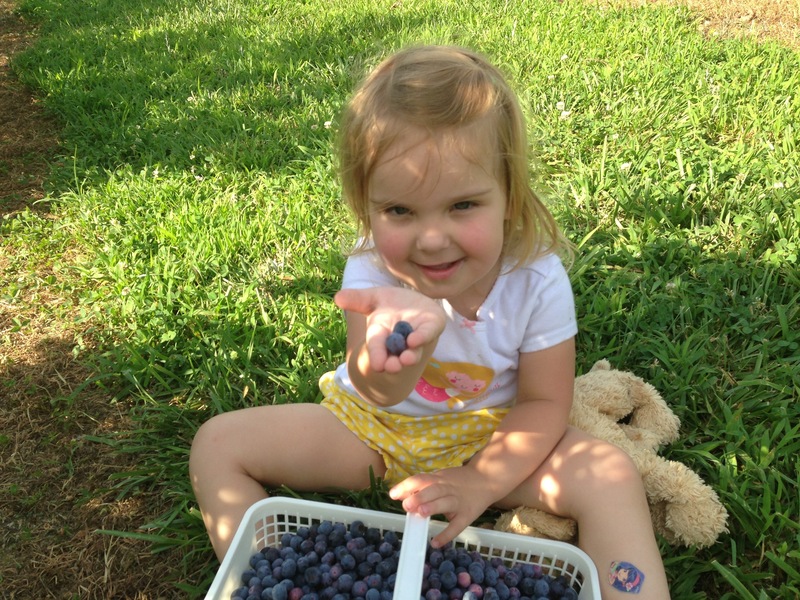 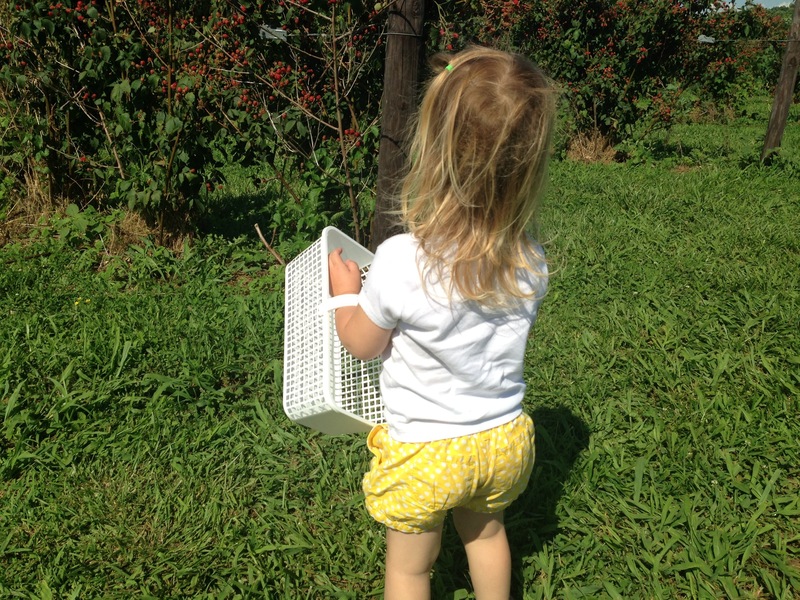 We washed, measured, and froze the blueberries as soon as we got home. 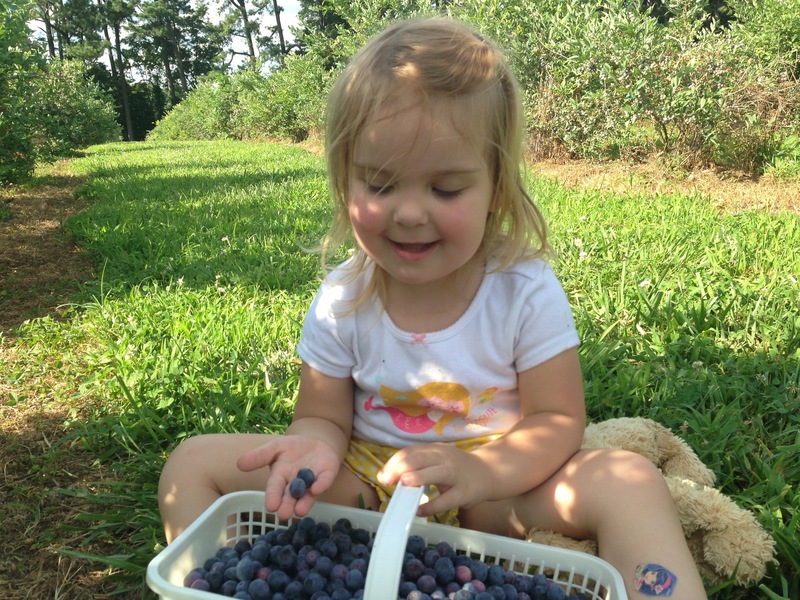 Five quarts of blueberries for $20! 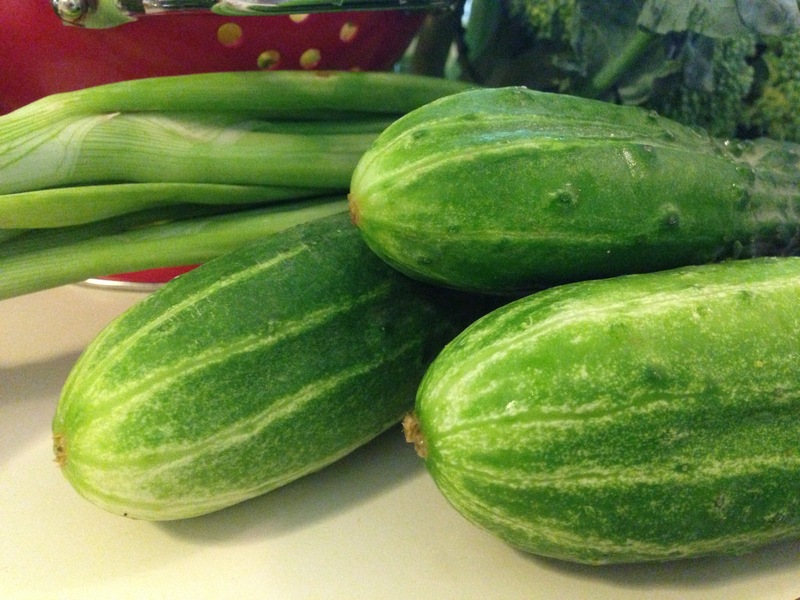 That’s less than half what we would have paid at Whole Foods, and still cheaper than a regular grocery store. 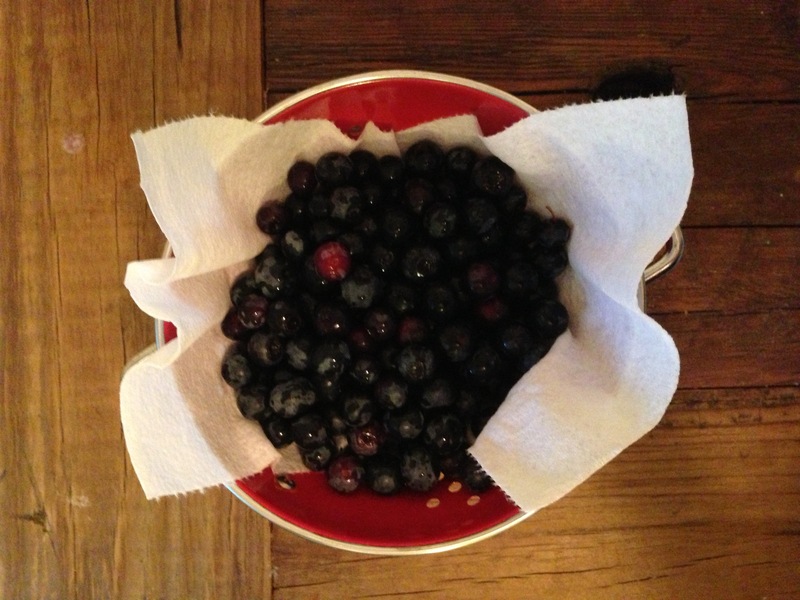 The first recipe I want to try is Blueberry Crisp from Bread and Wine. 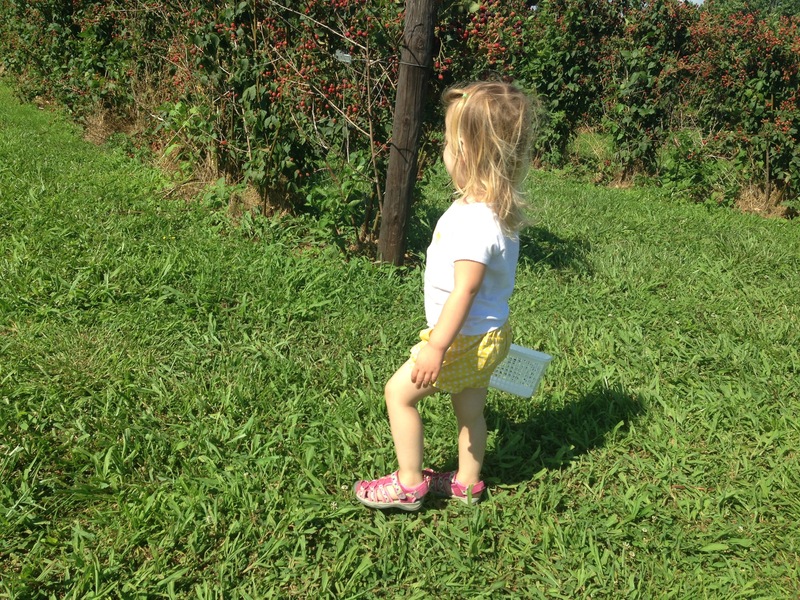 (Have you read it yet? 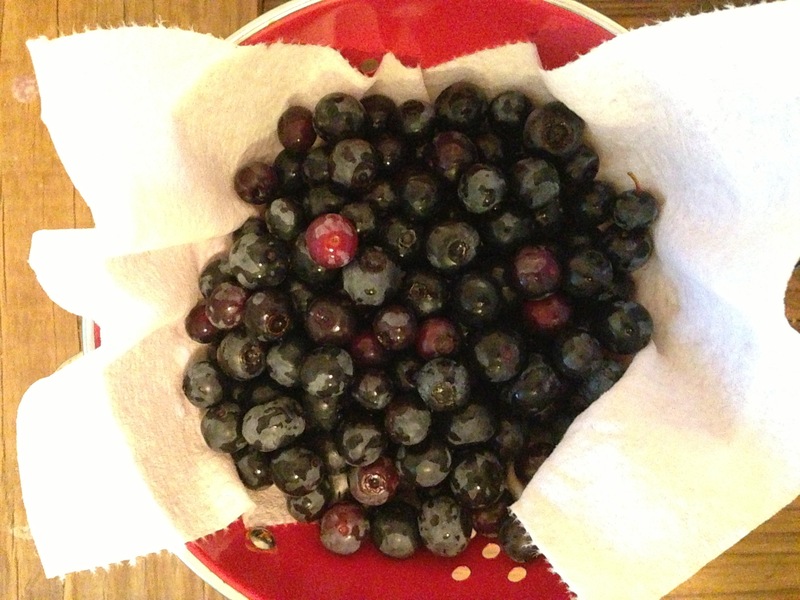 It’s so good!) 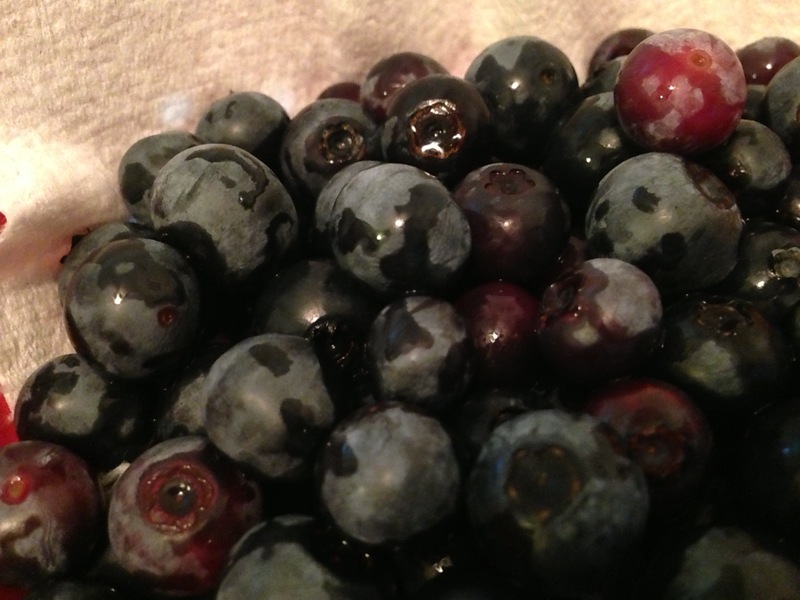 Do you have a favorite use for blueberries?